The receiving setup was a 3 element Arrow yagi antenna for 144MHz and a LimeSDR. 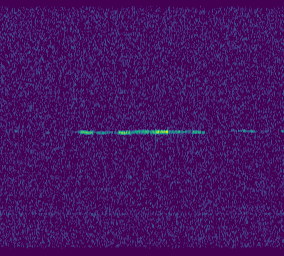 The LimeSDR was connected directly to the antenna with 1m of RG-58 coaxial cable. The antenna was mounted on a camera tripod on top of my car and aimed approximately to the direction of GRAVES, with an elevation of around 20º. See the picture below. 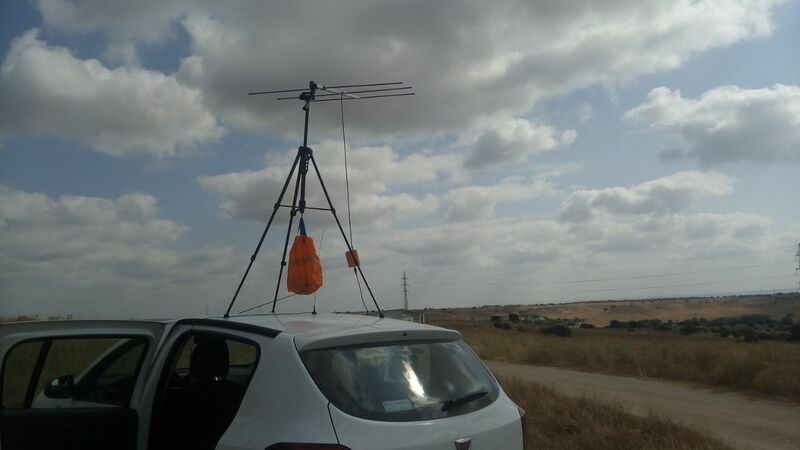 The location was my usual portable location for VHF work, at the countryside just outside Tres Cantos, Madrid. 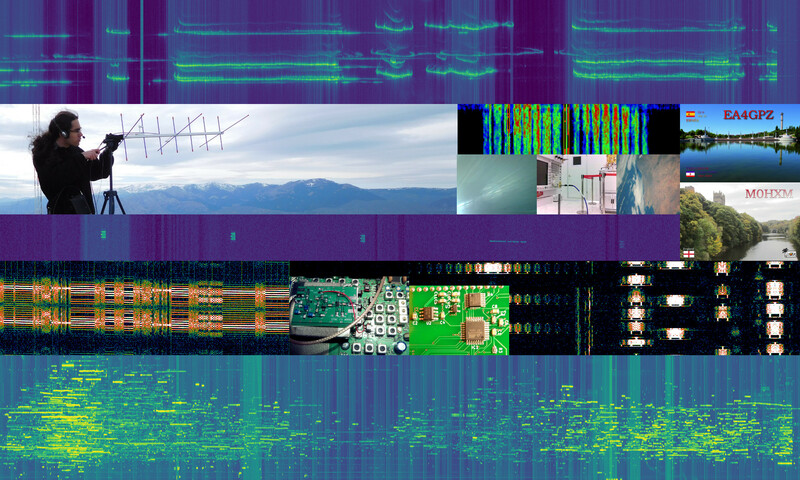 The LimeSDR was set to a sample rate of 4Msps, with an LNA gain of 20dB and TIA and PGA gains of 0dB. GNU Radio, gr-osmosdr and SoapySDR were used to record the samples to a file as 64bit floating point complex numbers. 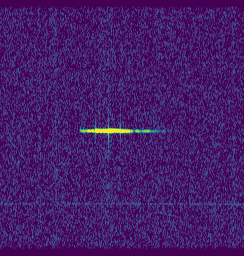 For the study of GRAVES pings, GNU Radio was then used to channelize 4kHz of spectrum centred on the GRAVES frequency of 143.050MHz. This produced the file graves.c64 (172MB). The complete recording of 4MHz of spectrum is 169GB, so I will not upload it. If someone is interested in this recording, please contact me. 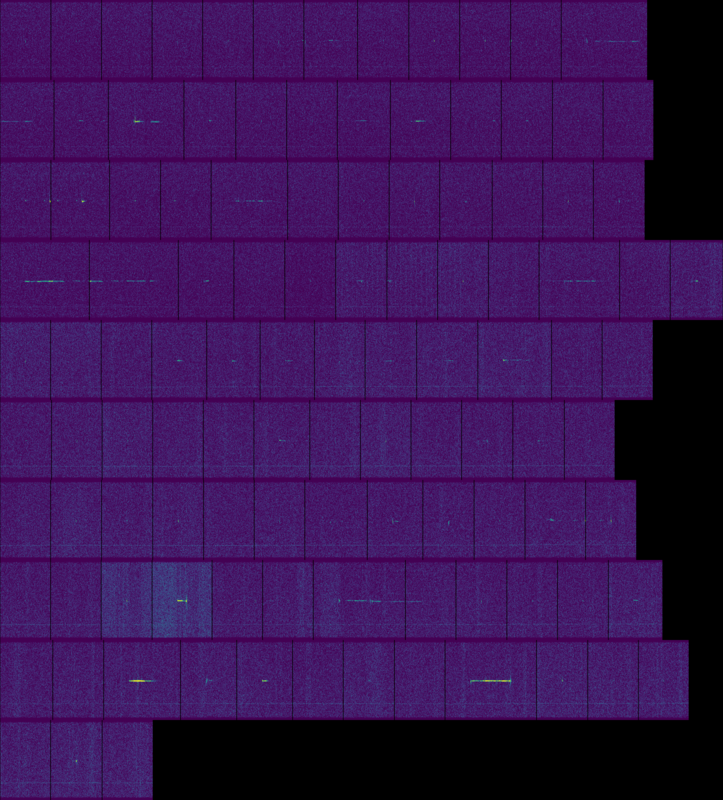 The graves.c64 data was then processed with the Python script waterfall_graves.py to produce waterfall data (power spectral density versus time). The ping detection algorithm implemented in this Jupyter notebook uses this waterfall data to detect the pings and extract small waterfalls containing them. 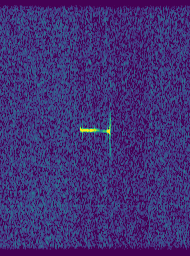 The image can be seen here (3MB). Some of the more interesting pings are shown below. In some of them it is possible to see the beam changes. 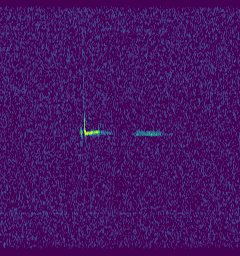 In a future post I will look at the Amateur transmissions received by meteor scatter in the same recording.